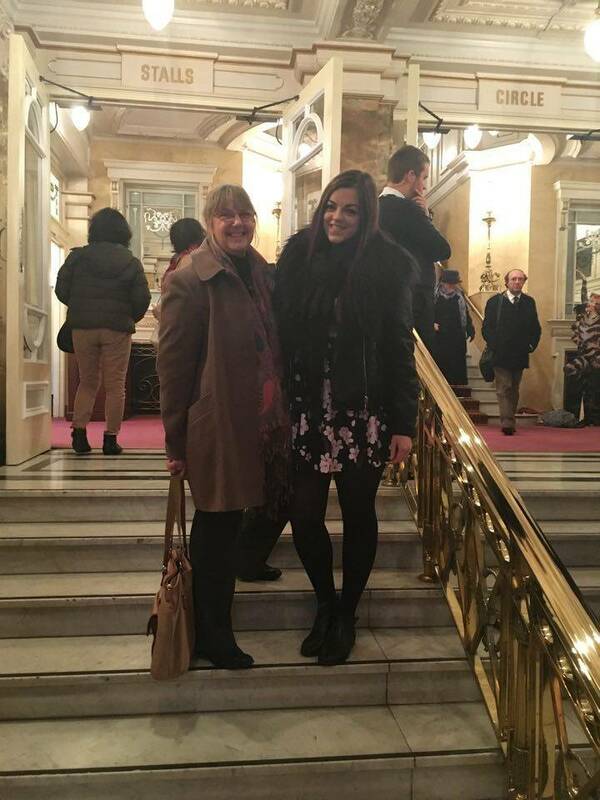 After filling up on delicious food at a restaurant called ‘Tibits‘ (more on that in a blog coming soon), mum and I went to see Cats – The Musical, at the beautiful London Palladium for my birthday last month! 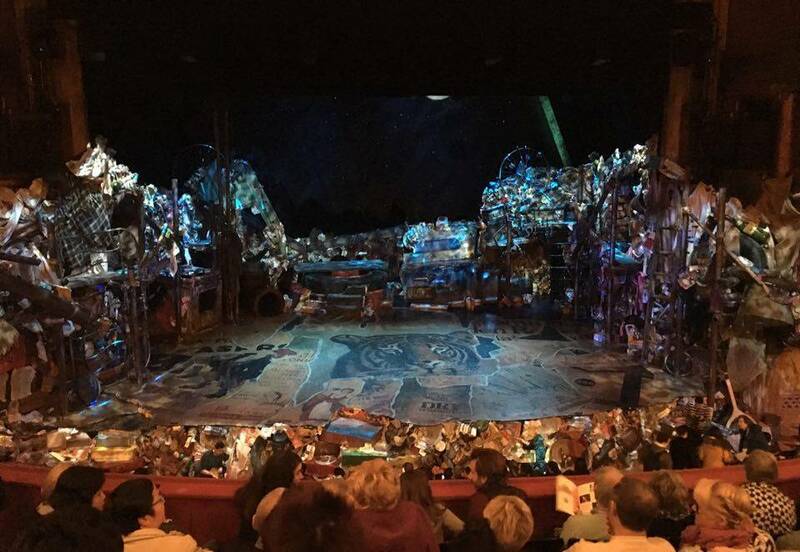 After seeing the show on VHS when I was mini, followed by re-watching bits on YouTube and learning songs in choirs or in singing lessons, and also being a massive lover of fluffy cats and musicals, I was heartbroken that I hadn’t had the chance to see the stage show in London when it ended. So when it returned this year I was over the moon that my mum liked the suggestion of going to see it together! Composed by Andrew Lloyd Webber and based on Old Possum’s Book of Practical Cats (by Thomas Stearns Eliot), ‘Cats’ tells the story of a group called the ‘Jellicles’ who can make a ‘Jellicle choice’ for one cat to come back to a new life. Our seats were in the Royal Circle so we had a great view of the whole stage. All of the performers were super talented and we were captivated for (almost) the whole show (more on the ‘almost in a minute’). Mungojerrie and Rumpleteazer’s duet was wonderfully playful and brilliantly choreographed; However, the absolute highlight for me had to be Beverley Knight‘s performance as Grizabella during the reprise of ‘Memory’ in the second Act. Her vocal range, power and control is incredible. The passion she portrayed was so emotive I actually teared up a little watching it. The only slight qualm I had, was during the ‘The Rum Tum Tugger’ rap. This genre didn’t fit so well for me as I think it kinda runs the risk of affecting the timelessness of the whole musical. That being said, the actor that played the Rum Tum Tugger was absolutely great, it wasn’t his performance that irked me, it was the genre for that section that just didn’t fit. 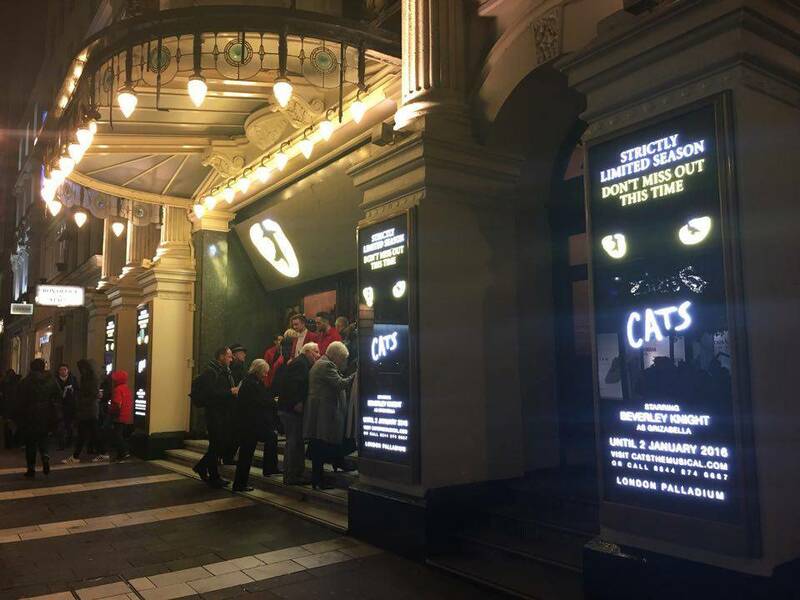 The London Palladium was a great theater for this show as it allowed the performers to break out into the audience, dancing and singing in the aisles, whilst in their wonderful cat characters. If you’re keen to see this run of Cats (who knows when it will be back) and I hiiighly recommend you do, hurry getting your ticket because the last show is 2nd January (this Saturday) 2016! How much are tickets? Prices range from £20-£59.50, get them HERE. Thanks for reading and hopefully this has inspired you to catch a Musical in the West End soon.